WHAT WE COMING OUT OF!!! IN A TID BIT. BELIEVE IT OR NOT...YOUR CHOICE. Tanaath: Our Galactic sister (The Silver Legion) has come to give an Update with Drake tonight June 19 2014: Listen In Lots of Galactic Information, you will want to KNOW. cause it is About YOU THE DIAMOND!!! too. TOLEC Announcement: Special Report - A Higher Dimensional Perspective on Our Changing World. “Special Report: A Higher Dimensional Perspective on Our Changing World”. "Special Report: A Higher Dimensional Perspective on Our Changing World". Drunvalo Melchizedek, James Gilliland, Alfred Webre, Kau'ila & Tolec. note : again, please understand, the original format of this show planned for Joe Marra dedicating & making available the last 45 minutes of the show for questions from 'chat room' guests - it was changed just before the show due to the very recent loss, earlier that day, of the co-host's [Stefany Nepala] stepmom. We all appreciate your kindness & understanding regarding this difficult time for Stefany & her family. "This Wising Machine"...it a tool...Do you want one? you can have one. check it out. HERE IS JUST ONE!!! PROOF...AND THERE ARE MANY MANY OUT THERE, THAT FALSE FLAGS ARE TRUE...THEY THERE TO BRING FEAR OUT OF US, AND MANY OTHER..JUST WANTED TO POST AND EXAMPLE...OF OUR WORLD IS A FAKE, IN A WAY, BUT THIS KIND OF STUFF IS AWAKENING US!! THAT'S A GOOD THING. Sofia Smallstorm, who produced and directed the documentary,“Unraveling Sandy Hook”, which many regard as the best video study of the Sandy Hook event, recently interviewed a Los Angeles school expert, Paul Preston, about Sandy Hook and his knowledge of what had transpired. Governor Malloy had held a press conference that day, explaining that he and the Lt. Governor had been “spoken to” that something like this might happen, which raised the question, what “something like this”? Did he mean he had been told a school shooting massacre would take place? or a drill that would be presented as a real event? (3) it had been done to promote an anti-gun agenda. Given his background of 41 years in the California public school system (from custodian to district superintendent) and having served as a teacher, coach, vice-principal and principal before retiring in 2012 as the superintendent of two charter schools, I thought what he had to say about Sandy Hook deserved widespread dissemination. Because Preston is also highly trained in school safety issues and had himself organized drills of many kinds, including active-shooter drills, what he has to say is especially telling. He has a website of his own at www.Agenda21Radio.com, which he created to alert listeners to the perils of Agenda 21. Corey Taylor devotes her energy to passionately advocating for the bullied, needy and politically under-represented members of our global family. Corey Taylor Talks helps teens with issues such as: bullying, education, addictions, suicide awareness, homelessness, the importance of being positive and spreading kindness, and so much more. It teaches them to stand up for what is right and for what they believe in. The Corey Taylor Talks Show also focuses on fashion, music, and film, making the show fun and informative, so teens WANT to listen! Corey has listeners from across the globe and hopes to continue her fight to make the world a better place! Auditions are currently under way for my new T.V. show "Corey Taylor Time," presented by Kaleidosight Films! I can't wait to get this show going!! Locally, nationally and internationally, Corey Taylor is a vocal advocate for the bullied and displaced. Her mission is for her voice to travel to every corner of the globe to help teens in need. Whether you are looking to market a product using The Corey Taylor Talks Show licensed marks, have a specific proposal in mind, or would just like to speak with one of our Marketing professionals on how you can begin a partnership with the Corey Taylor Talks Show, we would love to hear from you. Tune in every Thursday for the weekly updates on Corey Taylor's favorite boy band One Direction. Don't miss out on all the juicy gossip!!! Is my guest this week! She is the host of the world-wide talk show: Diamonds Forever 31. If YOU want to be AWAKENED...this show is a MUST!!! Tune in at 6:00 p.m. PST!! This is a show you won't want to miss!!!!! If you are Awakening!!! this is a Must. Dare to Grow, Expand!!!! ***** Click Here ***** FOR THE ACTIVATION. SPECIAL SHOUT OUT TO ANTONIA HAGENS!! LOVE YOU.SISTER. DIAMONDS FOREVER 31 (We at a TIPPING!! point) JUNE, 21 2014 1pm Central, JUST RECORDED GUEST FRANCO DE NICOLA. 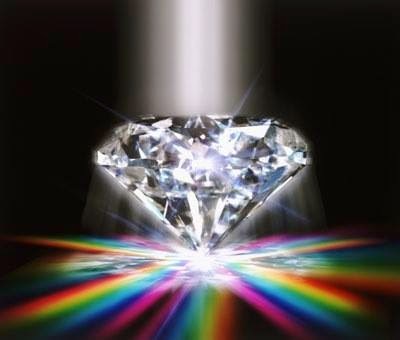 HERE IS THE LINK: June 21, 2014 Diamond Saturday: ://rs3104.freeconferencecall.com:80/fcci/cgi-bin/play.mp3/36266124-152.mp3 or call 209 255 1099 Pin 883267# Ref 149# Diamonds News We at Tipping Point! !